This past life quiz takes a light-hearted look at topic that's dear to my heart. That is, my sincere belief that reincarnation is real, each of us have lived many past lives and we come back into the body to learn from our past and grow. Why take this past life quiz? We've all experienced lifetime that were peaceful. We've also had stormy and traumatic lives too and might even have found ourselves caught up in the victim-perpetrator merry go round.\. Though you may have a sense of your “easy” lifetimes, you probably don't feel an urgent need to recall their every detail, as there's nothing to be resolved. On the other hand, unhealed wounds like grief, and unbalanced karmic obligations or conflicts are carried forward from lifetime to lifetime until we resolve them. Each lifetime, we ‘re-experience’ the trauma again, until we gather the strength inside to face and let go of that karma — for good. What this past life quiz will help you do is trust the soul whispers that come up around your past lives... so you can piece your challenging past lives together and resolve them. Have you seen the documentary, What the Bleep? It was a groundbreaking film that bridges science and spirituality. Academy Award winner Marlee Matlin is in it (for the fictional storyline) and they also interview reknowned scientists and clairvoyants about the nature of reality. What the Bleep? talks about how the human brain doesn't know what it is actually ‘seeing’ or what is it ‘remembering’. In other words, when have a memory, our brain doesn't recognize whether it happened decades (lifetimes) ago, or whether it's happening now. Take this a step further. When painful past life memories surface, we ‘remember’ the feeling as if it's yesterday. Past life issues run deep, rooted into the most mysterious recesses of our soul. When I first came to consider past lives, I didn't have a past life quiz to take. I hadn't read much and early on, I wondered if I was delusional. No one I knew (at the time) was talking about reincarnation. I didn't know if I believed in past lives. But nothing else made sense to me. So I opened my mind. Over time, I read, I studied, I researched, I delved deep into my own unconscious and began healing my past lifetimes... and instead of the idea fading, it took root. Taking the time to understanding my karma and past lives has been an important part of my own spiritual awakening. 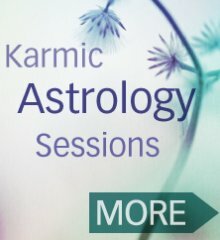 For a time I dove deep using karmic astrology, past life regression, my own intuitive knowing and more. For me, it was time well spent and if you resonate with this work, I encourage to explore the articles on my site... and for what's next, fllow your heart. 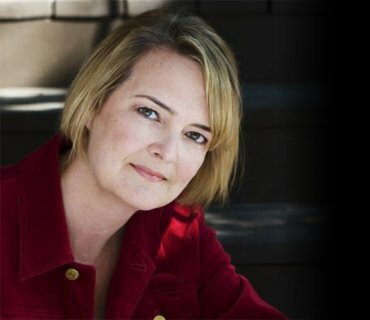 Ten questions to help you reveal the past lives inside you...waiting to be released. First, answer ‘Yes’ or ‘No’ to the following. Do you repeatedly encounter lovers, bosses or friends with the same kind of traits or behaviours? Have you done everything your therapist or spiritual advisor says to do, but you still feel stuck? Do you have a deep-seated fear, phobia or anxiety, which doesn't have a logical beginning in this lifetime? Have you met anyone which triggered an enormous emotional response in you, like anger, hurt, longing, sadness or fear, which felt out of proportion? Have you ever had an obsessive love affair? Do you have repetitive issues around money that you can't seem to climb out of? Have you had repeated or very heavy burdens when it comes to other people? For example, having to be a caregiver, or support another who leans on you? Have you ever met someone new, and instantly had a ‘big’ reaction to them, without a good reason? Have you ever acted compulsively or completely ‘out of character’ when you're not normally impulsive? Tally up your Yes answers. Read the past life quiz results. Then prioritize them in the order of what's the most painful or distressing for you right now. If you decide to delve further with a healer, a past life regression therapist or your own intuitive knowing, this is where to start. Finally, be kind to yourself. We're all here to resolve something. Keep in mind that past life healing is not like the flick of a switch: it's more like releasing layers, or slowing the swing of a pendulum. To get to the next layer, or slow the swing: see it, feel it, forgive yourself and any others...release. And if needed, repeat. 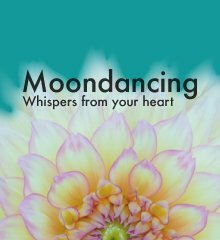 If you want to get a sense of how past lives can show up in the modern world (and create chaos in our lives), consider buying my addictive spiritual awakening book Moondance. It's both entertaining... and real. Thanks for taking the past life quiz!